This report covers conditions and observations made between Friday, February 13 and Sunday, February 15, 2015. 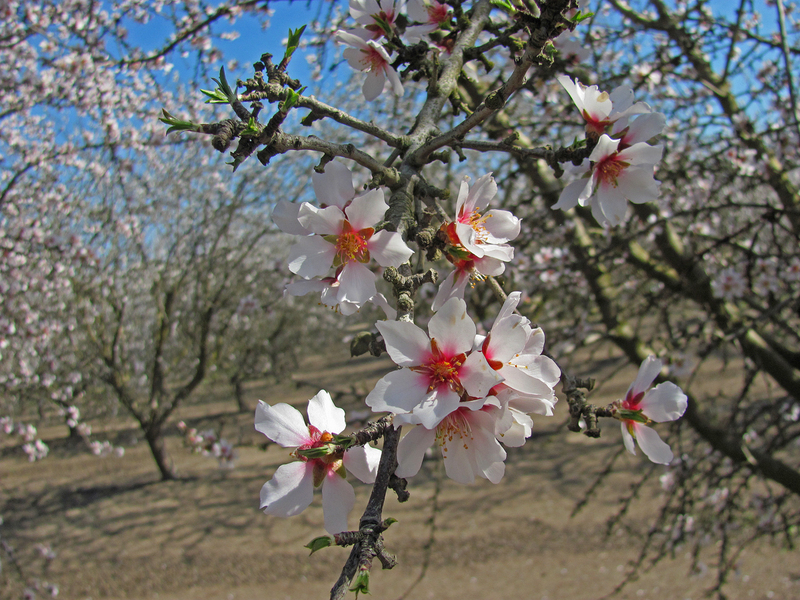 Taken in Madera County, the photos for today’s report show the developing bloom of the Fritz, a down-the-row shot of the excellent bloom overlap found in a Nonpareil and Aldrich planting, and a close-up of the Nonpareil. Generally clear skies, with patchy early morning fog and a few high, thin clouds graced the southern San Joaquin Valley over the weekend. Morning low temperatures were widely reported in the low to mid 40’s, while daytime highs reached into the low to mid 70’s throughout the region. 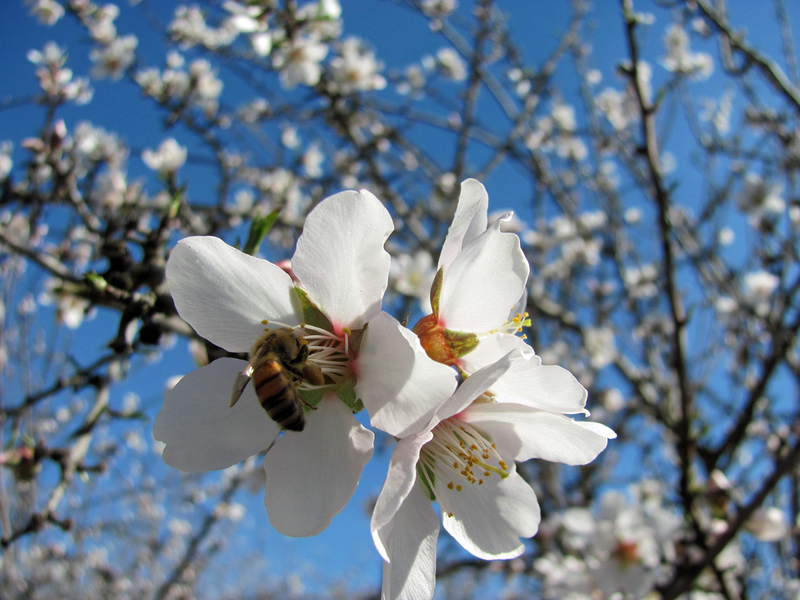 The absence of winds, along with the warm temperatures and bright sun coaxed the bees from their hives early in the day, providing for 8 to 9 hours of excellent activity on the rapidly developing bloom. 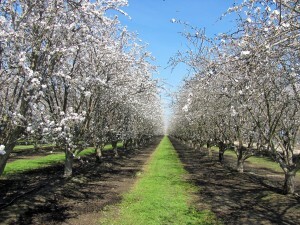 Observers have reported very rapid expansion of the bloom in the southern San Joaquin Valley. With the exception of the Padre, all major varieties are now presenting flowers for pollination. As is normally the case, the early blooming Sonora leads the way this year, with the greatest proportion of its flowers open and available. The California type varieties are following closely behind the Sonora and lead the Nonpareil in vast majority of the region’s plantings. While the overlap between varieties is reported to be quite good, on average, observers have noted a wide degree of variation between geographic areas. This trait has become more pronounced in recent years. However, observers are noting that the variation has become more evident this year, given the increasing influence of soil types, salinity and water stress. Orchards planted on sandy soils are running well ahead of those planted on heavier soils and those in areas with less water or salinity stress. 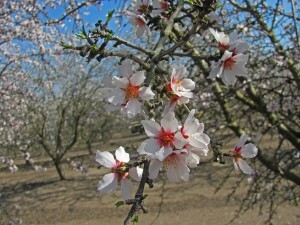 These observations are exacerbated by the fact that a significant number of orchards are exhibiting a weaker bud set and corresponding weaker bloom this year, resulting from the stresses imposed by lack of water and increasing salinity during the last growing season. 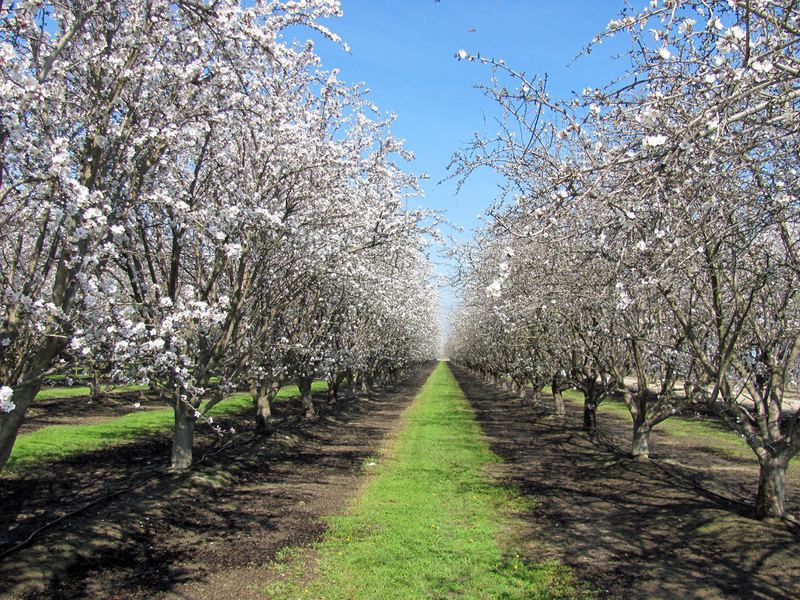 While growers with water available from privately own wells have begun to supplement moisture levels in their orchards, those who rely on surface water from irrigation districts are hopeful they will have enough to get through the 2015 growing season. The vast majority of the region’s growers employ some form of low volume irrigation, either drip or micro-sprinkler and use their water very efficiently. However, the continuation of drought conditions is worrisome for the region’s growers.